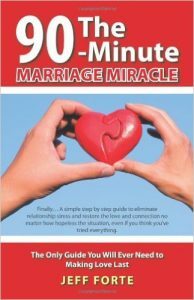 The 90-Minute Miracle along with the best of your happy marriage tips and strategies, to jump start my happiness. Everything you need to know to have a happier marriage is right here. Looking for fast, direct answers to any marriage challenge? You’ll find them here. If you’re ready to learn what to do to have a happier marriage, you’ll get the most effective guidance that exists without wasting a moment of time. Both couples and individuals are able to completely turn their marriages around by following my step-by- step guidance in my Rising Love Marriage Repair Process. I’ve helped hundreds of couples fix their marriages even when traditional couples counseling hasn’t worked, and even when divorce seemed imminent. There is no system or method for saving marriages more effective than The Rising Love Marriage Repair Process. As a client you’ll get immediate answers to your greatest marriage challenges. You’ll get advice that work right now,…today. So the changes you want to happen in your relationship can begin right away. What you don’t know is what’s keeping you stuck. And unless you’re willing to learn what does work, very little will ever change. 1. If you didn’t have great role models for relationship success you are likely to struggle. 2. If you don’t understand the dynamics of masculine and feminine roles in the relationship, you’re not going to be happy. 3. If what you’re doing isn’t working and you’re unwilling to learn what does, your marriage cannot improve. 4. People make simple mistakes unknowingly that create all the challenges. Do you know what they are? 5. Traditional couples counseling can make your situation worse. It did for me personally. Many years ago I struggled in an unhappy marriage, so I know how stressful that can be. I created the Rising Love Marriage Repair™ process to give people immediate answers to all of their marriage challenges. You deserve better than what I experienced in failed traditional couples counseling. Today I’m a leading authority on divorce prevention and have 25 years of conflict resolution experience. My track record of success with couples on the edge of divorce is among the best there is, even in the most difficult circumstances. I’m a trusted advisor to many successful people who understand the value of expert guidance. My clients include: Fortune 500 Executives, Business Professionals, Attorneys, Surgeons, Professional Athletes, Emmy Award Winners and Couples from all over the world. I welcome working closely with you to get you the answers you need. If you’re serious about fixing your marriage for good, you can talk with me by Skype video from any location, or see me in person. The expert relationship guidance you need is available in the way that’s most convenient for you. And get direct answers to your greatest relationship challenges. You’ll learn exactly what you need to know to begin to turn your situation around. Join me in a Rising Love™ Strategy Session today. Schedule your complimentary Rising Love™ session today. To receive your complimentary and confidential Rising Love™ Strategy Session, please fill in the form below. * You honesty saved our marriage. With that, I am forever grateful. * Our first conversation was remarkable because Jeff understood immediately what was happening between us. No one had ever been able to talk to me about my marriage issues in such an easy to understand right to the point manner. * I have come to realize thanks to Jeff that I have so much more control over my marriage than I had ever imagined and my husband has no idea that I have even been getting any outside help. * Here we are about 45 days later and I feel like I’m in a new marriage. I not only feel happy and understood, I feel the love that I haven’t felt in over 12 years. * He told me that some of what I would need to do would be counter intuitive. Everything I do has changed. I never would have figured this out on my own. Jeff’s ideas work. If you are in trouble in your relationship call I recommend you call him right away. * Working with jJeff was light and easy unlike the heaviness and seriousness I experienced in other things I tried first. His approach to relationships is so refreshingly logical and straight forward. There is no guessing about what to do next. My wife and I both enjoyed our consultations with him. * My husband who had been so resistant with the therapists really appreciated his no nonsense, no blame, and educational approach. Jeff helped bring love back into our marriage and my husband and I feel like we can handle anything together now. * We learned more in 3 sessions with him than we had in the previous 4 years. He is so insightful about exactly what to do. It’s hard to imagine how many mistakes we were making that were so easily fixed with his guidance. Our lost connection with each other is back and more. * We had tried couples counseling but ended up arguing more. I was seeing someone else and wanted clarity. There is no doubt that Jeff saved my marriage even though he tells me that I did. * Since we met you, our relationship has gone from near divorce to a never-ending romantic honeymoon. Using your approach Melanie and myself have managed to rekindle the heartfelt emotions we had 15 years ago when we were first dating! * There is hope for the hopeless in marriages that are about to fall apart. Talk to Jeff Forte at Peak Results Coaching because he is the only person who was able to reach my husband after he vowed to never go back to see another counselor. If it wasn’t for Jeff I would have thrown 21 years of marriage out the window. * If you haven’t had any passion or intimacy in your marriage in years, Jeff is the guy to talk to. He understands women better than any couples counselor that I have ever spoken with over the past three plus years. * Maybe it took a few months, but our marriage feels more solid than it had in over ten years. My husband changed so much and was more attentive to me and seemed to care more about our marriage. What a blessing Jeff has been in our lives. Please read his book or talk with him, it might save your marriage too. * If you are thinking about divorce you have to talk with Jeff Forte. In one conversation with me he told me exactly what was the real cause of my lack of trust for my husband. * I had been involved in a passionate love affair for over a year and hated my husband. I am so grateful to Jeff for his compassion and understanding. Not once did he blame me or judge me for what I had been doing. He was a breath of fresh air and helped me to recover marriage and more importantly myself. 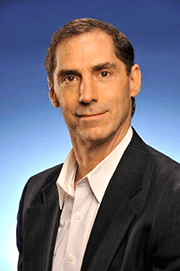 * If you are thinking about divorcing or separating from your spouse, do talk to Jeff Forte. He has straight to the point style that has a way of solving big problems pretty quickly. * My husband and I had been to 3 different couples counselors over the course of four years. We left each session angrier than when we went in. Listening to Jeff explain the truth about my situation was comforting to me because I realized that my husband and I could feel like we loved each other again.